This summer holiday destination fulfilled the need for familiarity after an out-of-comfort zone period. The trip by train through Swiss green pastures and white mountain picks was a delightful invitation to slow down. Emilia Romagna has welcomed and continuously surprised us. Our holidays are child-centered. Hence the choice of destination. I love the beaches close to Rimini as the water is not too deep for fun splish-splash; and the flow and ebb make it a fantastic research ground for exploring the small sea creatures. It also reminds adults of flow in life. All beaches have good and safe playgrounds for kids to play and interact. Acquario de Catolica is advertised as the biggest aquarium on the Adriatic side. It has four itineraries: blue – for sharks, penguins, turtles and jellyfish in about 100 display tanks and pools with some presentations of the history of our planet; yellow – for rivers and streams and a cute otters natural habitat; green – chameleons, frogs, insects and snakes; purple – for sounds of the sea in an interactive itinerary thanks to the various display tanks you can discover how fishes, marine mammals and invertebrates communicate. 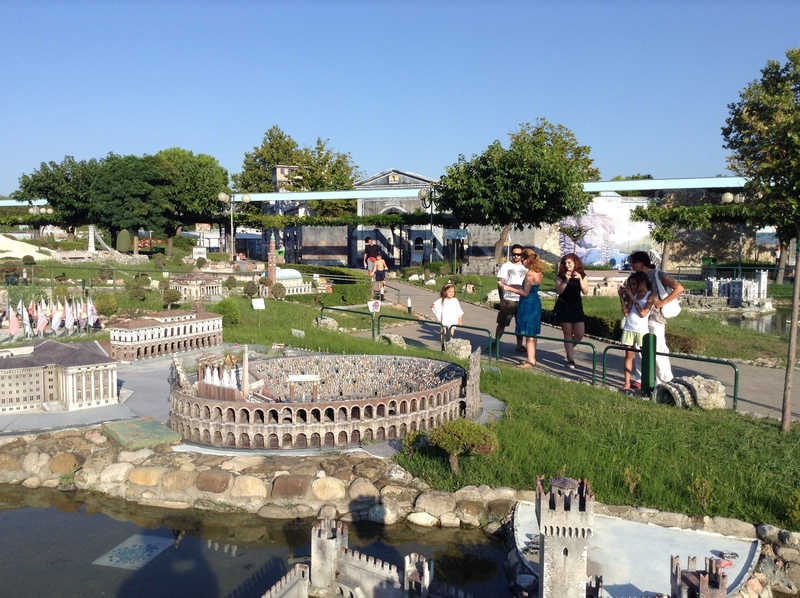 Italia in Miniatura is a thematic park which invites children to feel as giants. You’ll enjoy a walk of beautiful reproductions of famous Italian monuments and landscapes and some 30 European monuments. Kids and adults alike enjoy climbing the Mont Blanc, taking the mini cars for a short visit into Pinocchio’s story and the gondola ride in Venice. 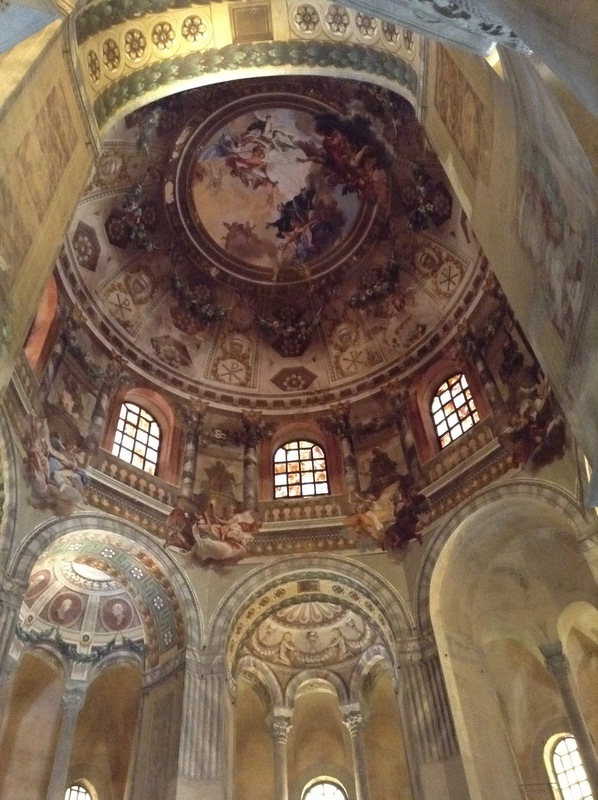 Ravenna was no doubt the highlight of the trip. It is home to eight UNESCO monuments. I wished I could turn off the sound of the city to emerge into the atmosphere of middle ages. Our visit started with San Giovanni Evangelista, which is one of oldest churches in Europe dated from year 500. In San Dominico you can watch a documentary about a range of sites to visit in Ravenna, along with a precious art and books exhibition. 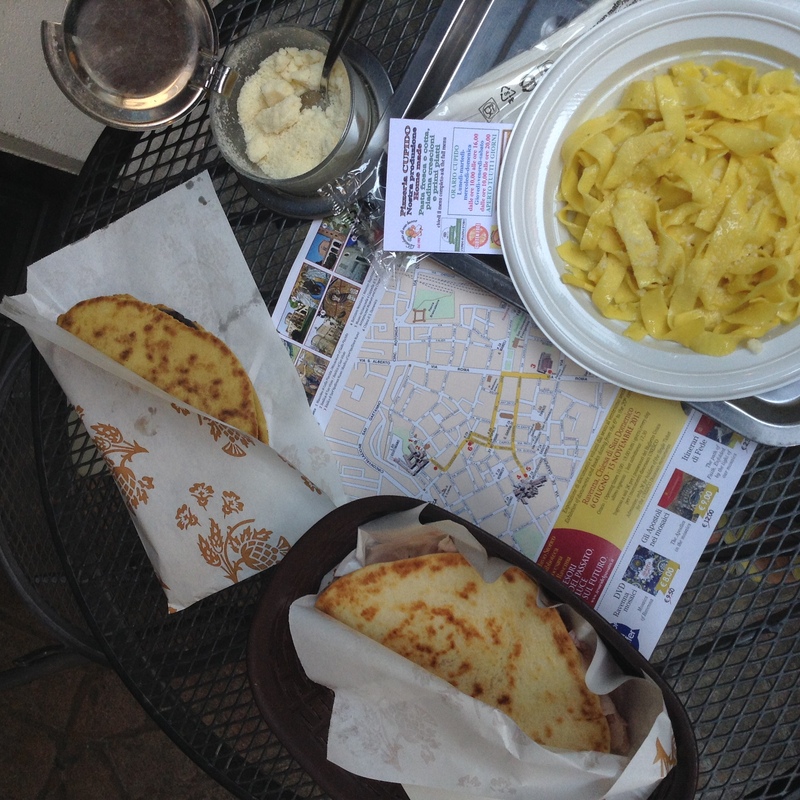 We stopped at Cupido for a traditional piadina. It has also the vegan version made of kamut flour, which I enjoyed very much. We visited then Basilica San Vitale, which is considered one of the most important monuments of Early Christian art in Italy, especially for the splendour of its mosaics. It astonishes with the blend of oriental and western art and architecture. The light and shadows play is fascinating. 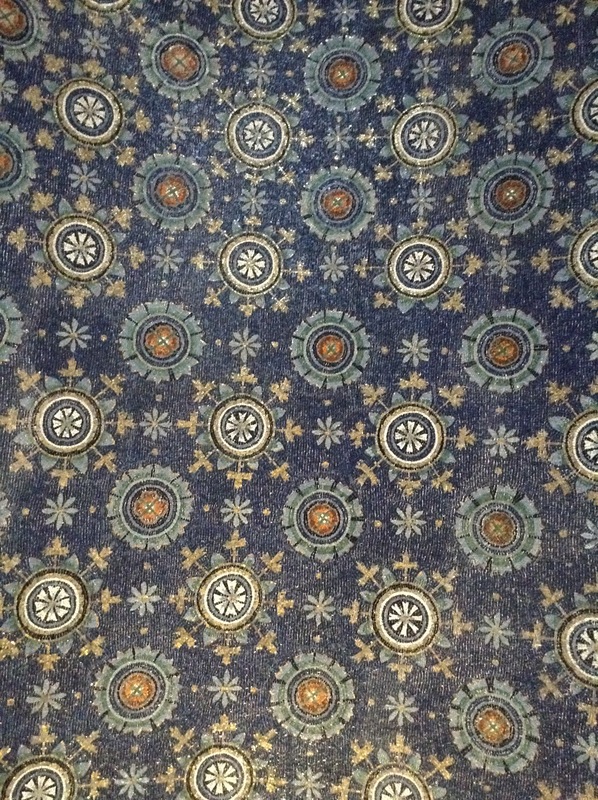 Next to it, The Mausoleum of Galla Placidia is a Roman building in Ravenna, Italy. It was listed with seven other structures in Ravenna in the World Heritage List in 1996. The UNESCO experts describe it as “the earliest and best preserved of all mosaic monuments, and at the same time one of the most artistically perfect”. We had the Chapel of Sant’Andrea or Archiepiscopal Chapel, which is the only existing archiepiscopal chapel of the early Christian era that has been preserved intact to the present day, followed on our itinerary. Very close to it, you’ll find the the Baptistry of Neon also called Orthodox Baptistry, the most ancient monument remaining in the city, partly erected on the site of a Roman bath. Summers in Italy remind me to take holidays habits into daily routine. Make time for a walk, make time for play, go with the flow, stay in the present and enjoy it all. This is less of a light vacation reading. The title sounded appealing though. 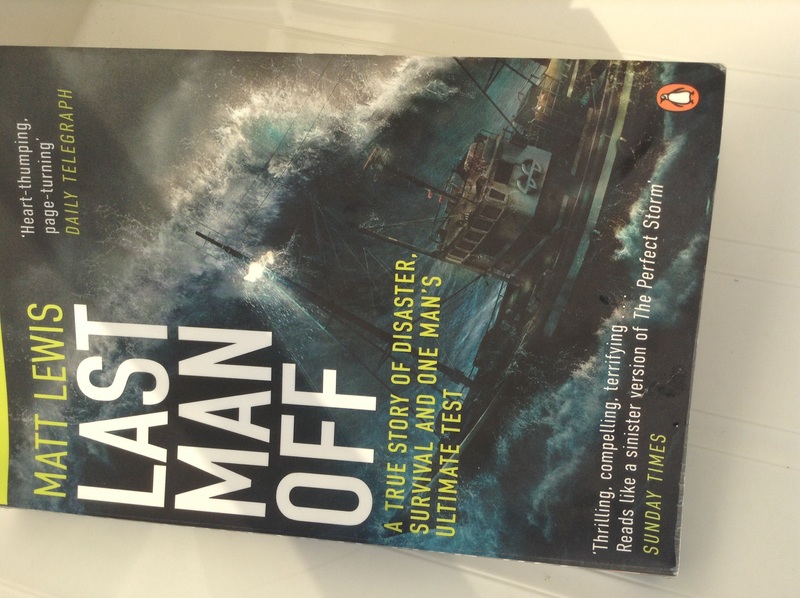 The author is a surviver of a fishing boat which saw its end in tough Arctic waters. It is a true story with facts narrated by the author. The book is written ten years after the event and is a diary of tragic events. The author’s bitterness against an ill-prepared boat and team to face an unforgiving Ocean’s fury is transpiring even after a decade after the sinking, which makes it somehow hard to read. The best part, to me, was the eulogy to the rescuers, up to naming his daughter after the ship thar rescued him – Camila. Matt, a frustrated maritime graduate, jumps into an opportunity to work as an observer of international fishing standards on a boat sailing south from Cape Town. His initial enthusiasm to practice what he studied faced the test of fishing industry reality. I could sense his precaution dictated by a certain courtesy to the corporation behind the unfortunate boat. This and other aspects make the book a quasi documentary or a quasi novel. I could not decide which prevailed. The book might be a delight to sea and ships lovers. It appears to be well researched on how shall a fishing boat should be equipped, at parts too technical perhaps for non- specialists. But maybe it was just the perception of my on-vacation-mood brain.